Canyon Elliot, Colorado rancher and ex-OSS WWII agent is brought back into action by a CIA friend to do a simple investigation in Munich. The problem: nothing is simple. For the first time in his career, Canyon feels like a newcomer. As someone well-known to be on top of his game in the spy business he is befuddled to find himself tracked down and set-up without any inclination of who is behind it all. In this exciting, fast-paced thriller he must go by his wits and not by his jaded experience as he enters the convoluted and twisted world of intrigue with both the Israeli Mossad and the Russian KGB. 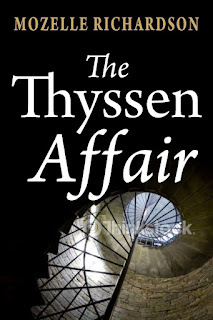 The Thyssen Affair starts off with an ex-operative being called back into duty when a German soldier's skull is dug up from its resting place. No one knows why the skull is so important, but the reader learns that there is a microchip in the tooth that shows a map to hidden treasure. I can appreciate what Richardson is doing with this book: the microchip embedded in the tooth, the treasure hunt, international intrigue, spies, etc. However, the writing style just wasn't for me and so I didn't finish this one. I didn't like Canyon and just couldn't relate to him. 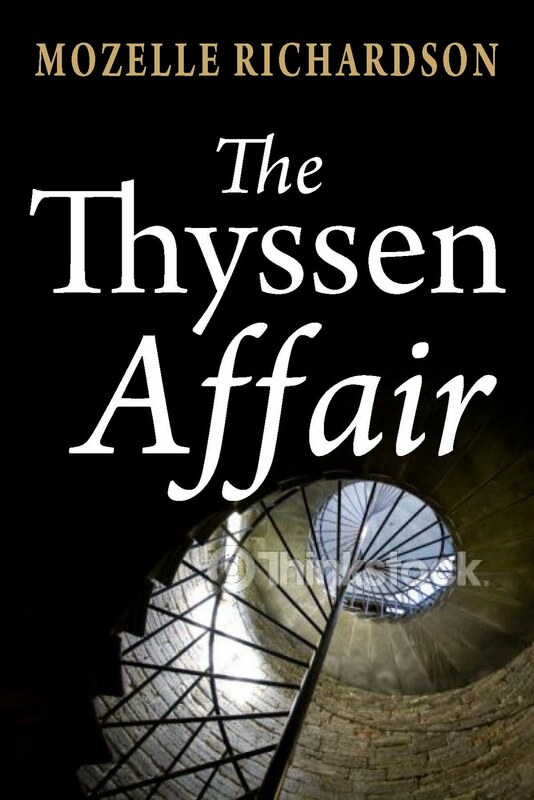 I hate quitting but I did give up on The Thyssen Affair. Am I the only one who is tired of the bad guys always being the Russians? Sigh.